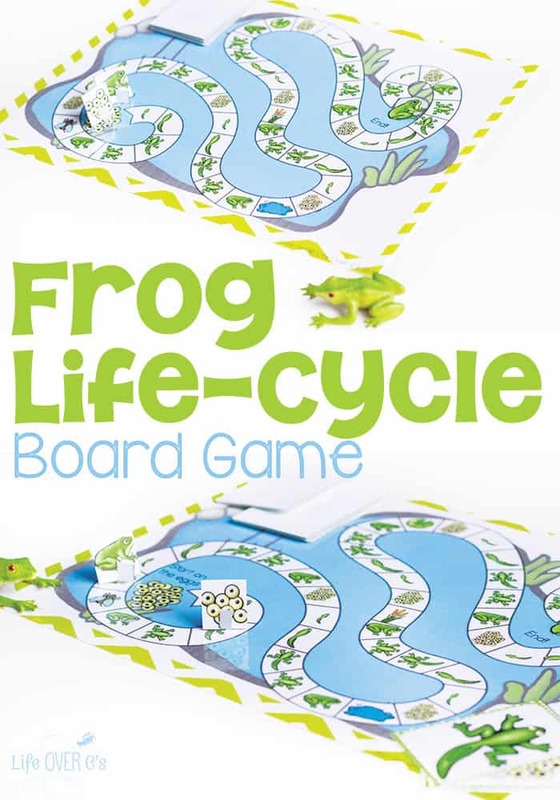 Kids will have a blast learning about frogs with this frog life-cycle board game. 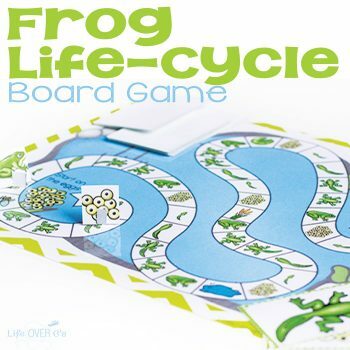 Explore the different life stages of the frog with a small-group game. Styled after Candyland, the game is picture-based which means that kids of all levels can enjoy playing together. There is also a life-size version (not pictured) that kids can play while moving around the room. There are two options for this game. 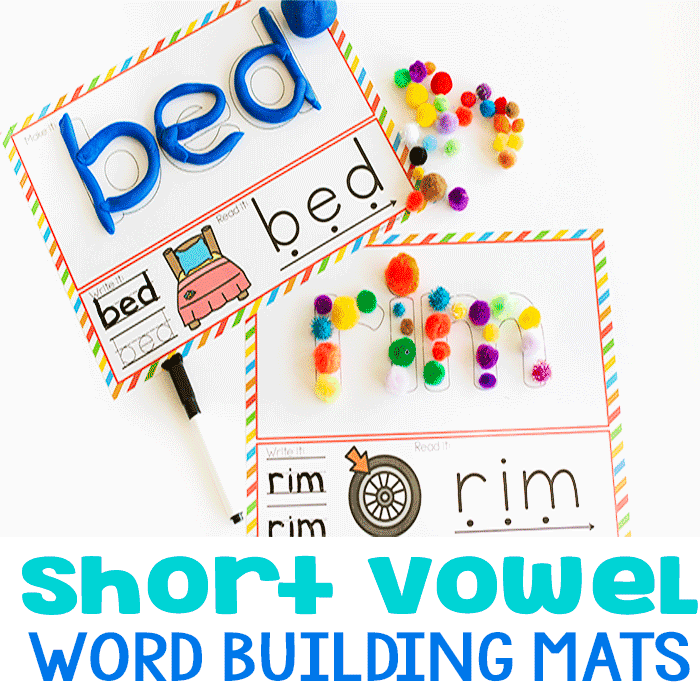 A file folder game and a life-size game. Print pages 3-5. You may want to print two copies of page 5 or simply have the students reshuffle the cards when they reach the bottom of the draw pile. 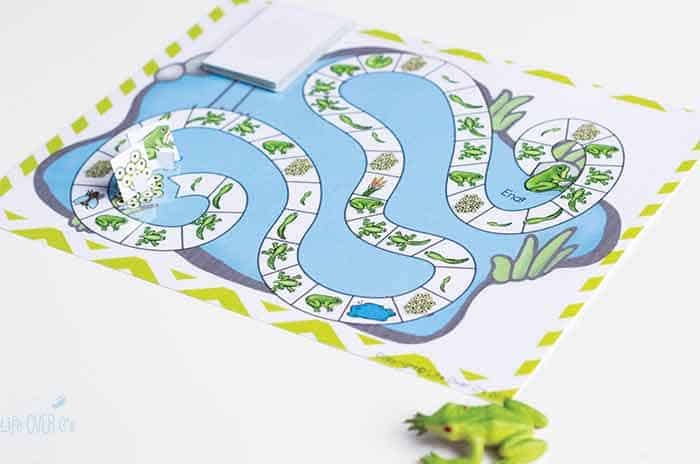 Assemble the frog markers on page 3. Print pages 6-15 multiple times to create the size of “board” that you want depending on the size of your playing area. 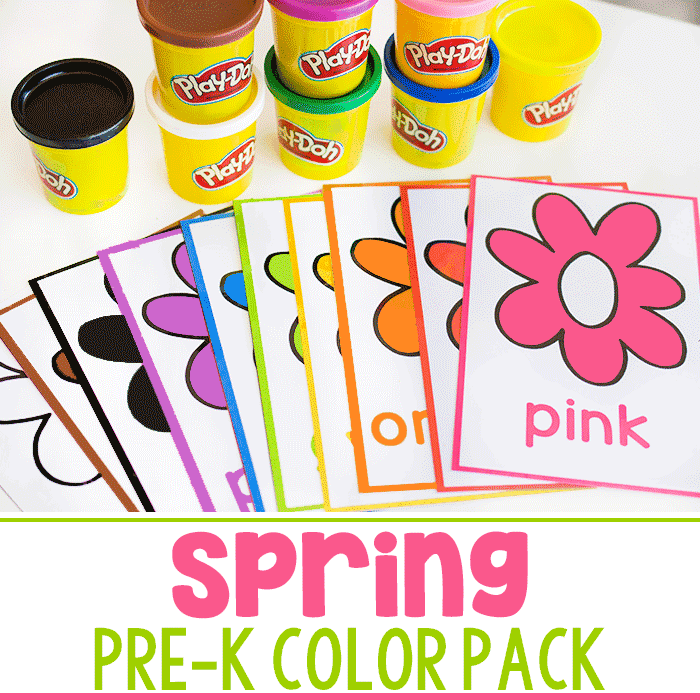 Put the pictures in page protectors and attach them to the floor with tape. Print page 5 to use as the playing cards. The students will be the “markers”. For 2-6 Players unless playing the life-size version. Then, you can decide the number of students to play at one time. 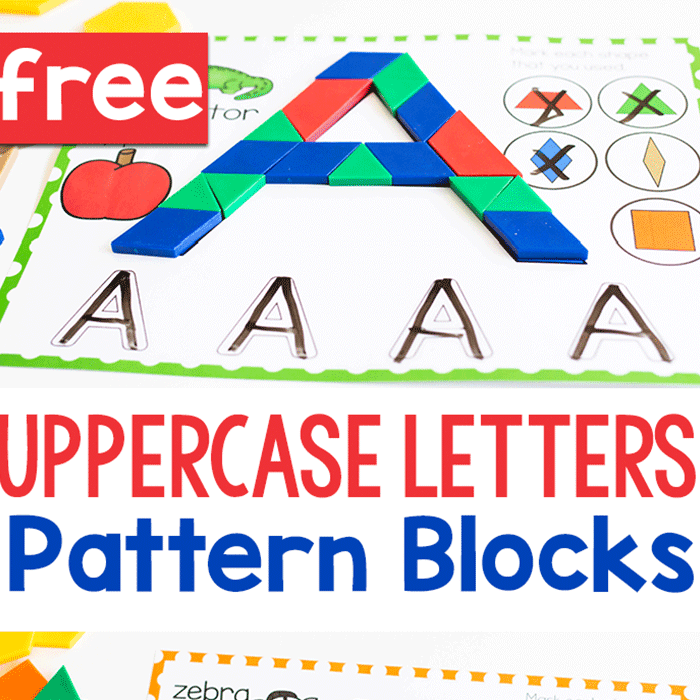 Weave the “game board” throughout your learning area! Place your frog on the “Start” eggs. Place cards upside down on the “Card Draw Pile”. The player will draw the top card from the pile and move the first space with the matching picture. Play continues to the next player. If a fly, pond, reeds or lily pad card is drawn the player will head to the space with that picture, even if it is behind him. 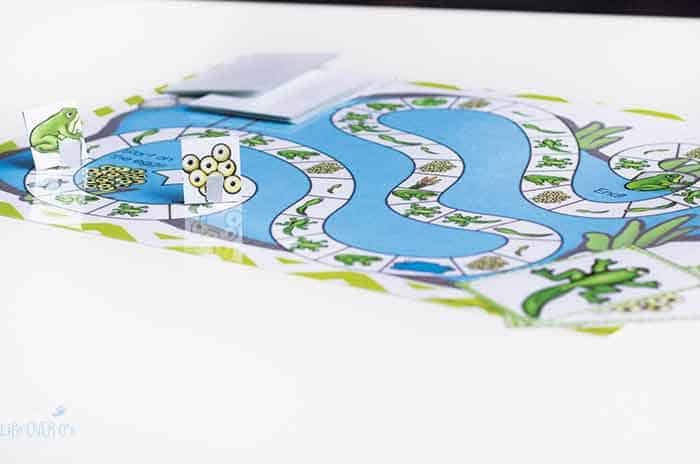 To win by landing on the last frog, a player MUST draw a frog card from the pile. 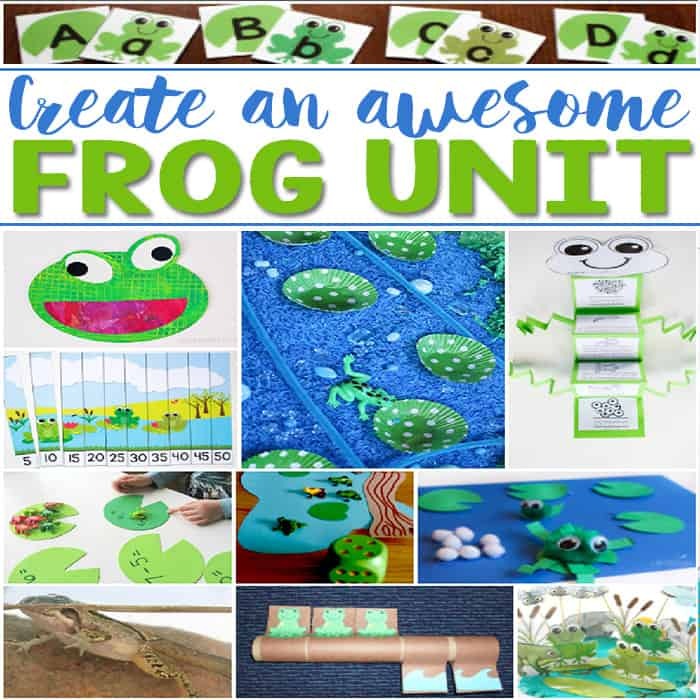 More Activities for your Frog Unit Study!